Spearmint and Meadowsweet Scalp Stimulating Shampoo, and Rosemary and Peppermint Detangler by John Masters Organics. Capri waffle linen towel by Balmuir. Purchased in Jolie Shop, Helsinki. 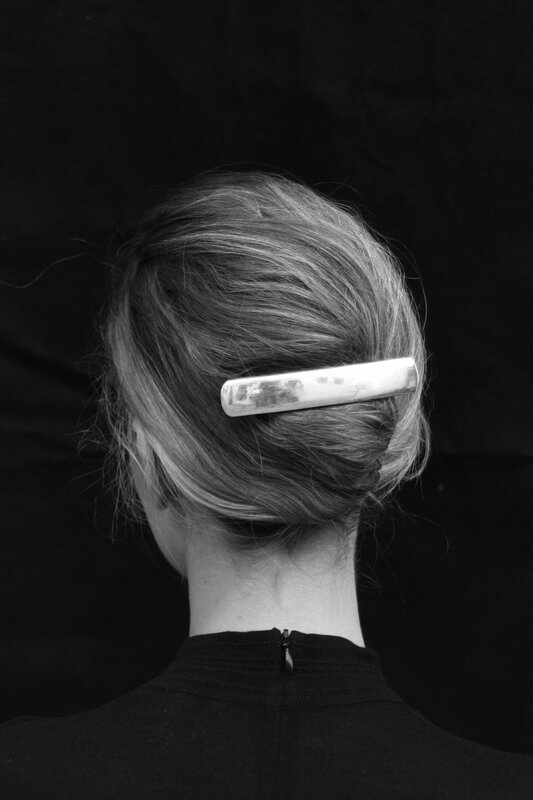 On my style moodboard: Silver barrette by Sophie Buhai that I would love to wear just like this. Image courtesy of Sophie Buhai. Have you ever tried an Indian head massage? It is amazing how it manages to relax and stimulate the scalp at the same time. The Spearmint & Meadowsweet Scalp Stimulating Shampoo by John Masters Organics serves as a mini spa treatment for your head. Releasing the tension on your neck, scalp and face feels sooo good. The shampoo is purifying but not drying. It is designed to remove buildup while stimulating scalp, improving blood circulation and providing moisture. Using the product, like all my favorite beauty rituals, is about inner and outer beauty. You have more clarity and less tension inside. Your scalp gets more blood and oxygen and nutrients it needs, which leads into healthier hair. For the ultimate hair-celebrating ritual, I begin with a funny-looking good-doing upside down exercise and continue with a shower and washing my hair mindfully. After massaging the scalp and rinsing out the shampoo, I dry my hair lightly with a towel. You do not want water diluting the power of your conditioner. I apply conditioner to damp hair and leave it on for a few minutes while massaging the scalp a little more and combing my hair with my fingers. After careful rinse I finish the shower by standing under cold water for, like, half a minute. It keeps your skin firm, makes your hair shiny, and makes you feel energetic. PS. 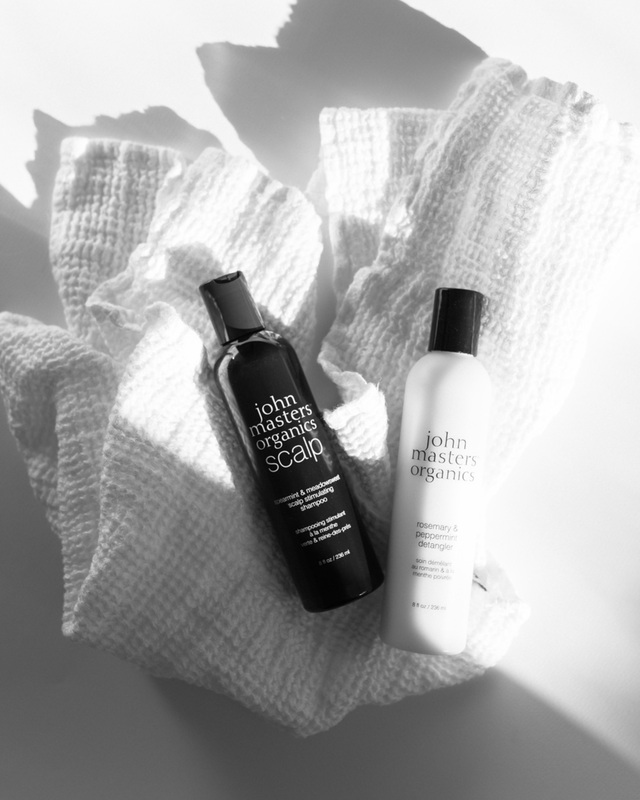 If you have tried an eco shampoo and disappointed because it did not perform well and foam properly, you might want to test John Masters. Certified organic and made of pure natural ingredients, the entire line is quite impressive.